Ever since Unique Bella won the Santa Ynez Stakes (GII) at Santa Anita this past weekend, superlatives have been flowing on social media outlets like tall tales at a fishing convention. Some are saying that the daughter of Tapit is the second coming of Songbird. And before you dismiss this as “crazy talk,” let me remind you that jockey Mike Smith, who has piloted both Songbird and Unique Bella in all of their lifetime starts, thinks the comparison may have merit. Of course, whenever these debates sprout up, I like to look at the numbers. Yeah, I know, many have an aversion to facts and figures — “figures don’t lie, but liars figure” and all of that — but I suggest that, provided one knows what the numbers purport to measure and the numbers are objective, a data-based approach beats opinion nearly every time. 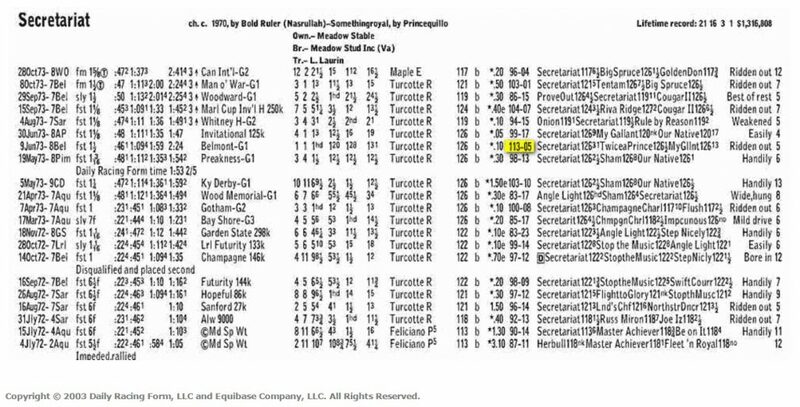 Speed Rating: A rudimentary figure that appeared in the Daily Racing Form prior to Beyer speed figures. 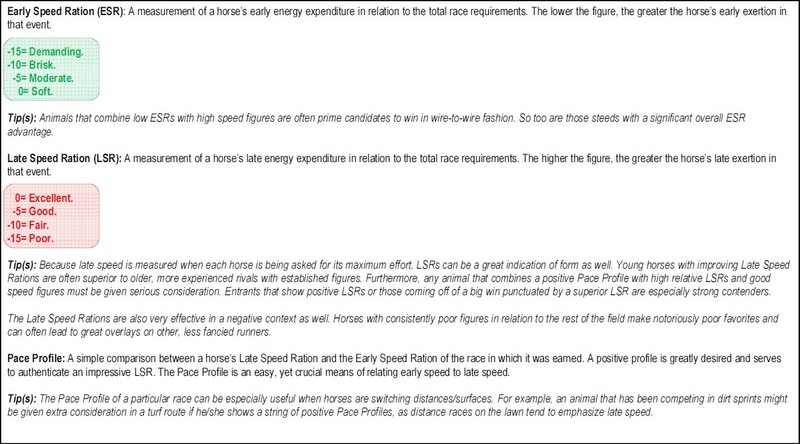 Initially, track records were assigned a rating of 100 and one point was subtracted for every 1/5-second (or length) the horse was off that record. For example, if the track record at Podunk Downs is 1:07 and our horse is beaten by four lengths in 1:08-1/5, its speed rating is a 90 (100-6-4 = 90). Horses that broke the track mark received rating in excess of 100, e.g. Secretariat earned a 113 speed rating in the 1973 Belmont Stakes. Track Variant: This was introduced to account for the inherent speed of the racetrack on a given day. It is computed by averaging all the speed ratings earned in sprints (races less than a mile) and routes (races of a mile or greater) on a particular day and subtracting from 100. NOTE: I used the old speed ratings for this piece simply because they are available for all the horses being discussed (most modern-day speed figs weren’t available commercially until the early 1990s). Using Secretariat as an example again, one will notice that when he shattered the track (and world) record in the Belmont on June 9, 1973, there was a variant of five points, implying that the track was very fast that day. The thing that immediately grabs me is how nicely the Fox Hill Farms filly has progressed. As a two-year-old, she was quite headstrong, with and average ESR of -8 and an average LSR of -10. By the latter half of her sophomore campaign, however, Songbird was rating kindly, averaging speed rations of -5 and -7 respectively. On the surface, there’s not much to distinguish her from her older rival, but — and this is a “but” that Sir Mix-a-Lot would appreciate — that recent LSR gives me pause. True, it’s only a tick slower than the -14 Songbird earned in the Del Mar Debutante (GI) as a juvenile, but the circumstances were greatly different. The Debutante was just Songbird’s second career race and she dueled with Pretty N Cool early. Unique Bella, on the other hand, was making her third lifetime start in the Santa Ynez (GII) and she sat off an early three-horse scramble for the lead.